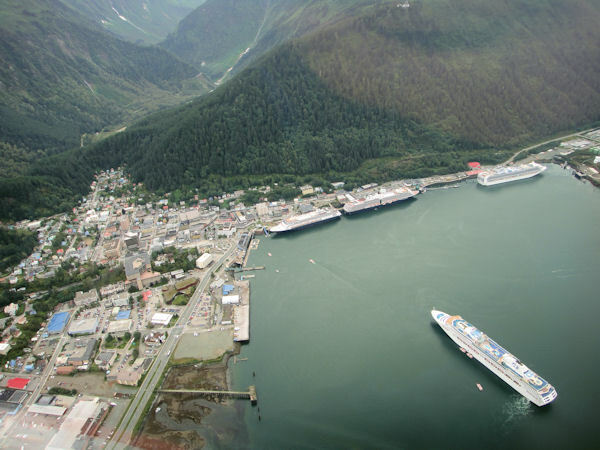 When I visited California in 2012, I decided to go to "One week Alaska cruise by luxury ship". Of course I took a cheap inner room. Seattle → Juneau → Sitka → Ketchikan → Victoria → Seattle and the sights of the Tracy Arm fjord and Soyer Glacier are the main attractions. I used the Holland America Line. As this company was said to be focusing on cooking, I was able to enjoy the food of many country. 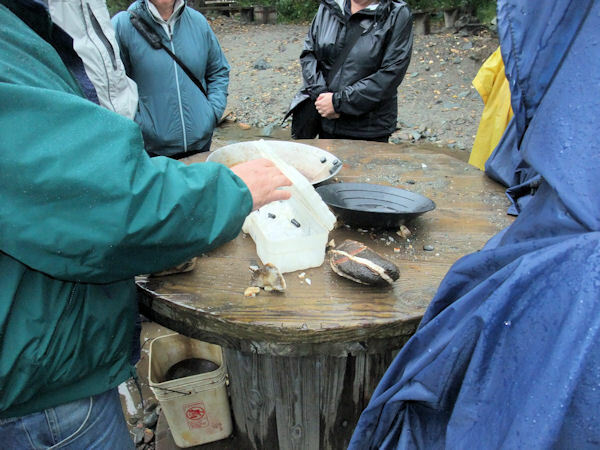 In the middle of the cruise, there was a gold panning tour at Juneau and it was somewhat expensive but I participated. We were guided by the bus to the river and panned the sand mixed with placer gold using an iron plate like in the western play. We finished so quickly that a guide dug the river with a scoop. 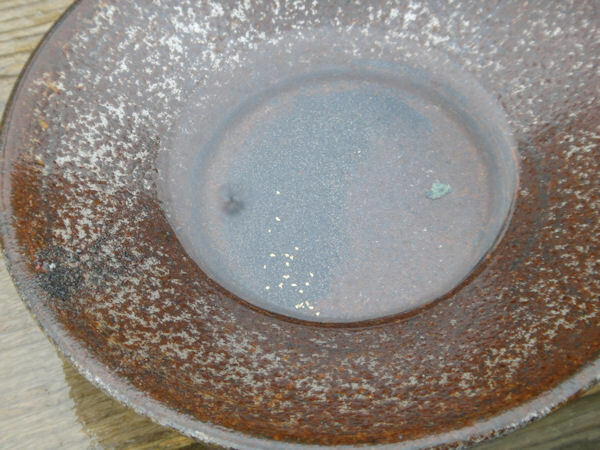 Although the depth is shallow, a few grains of gold were collected and I was impressed by Alaska. This area was rainy in 300 days of the year, we worked on a raincoat. I finished early, but young people were eagerly looking for gold until the end time. I was strangely reassured that people in any country were fascinated by golden magical powers. 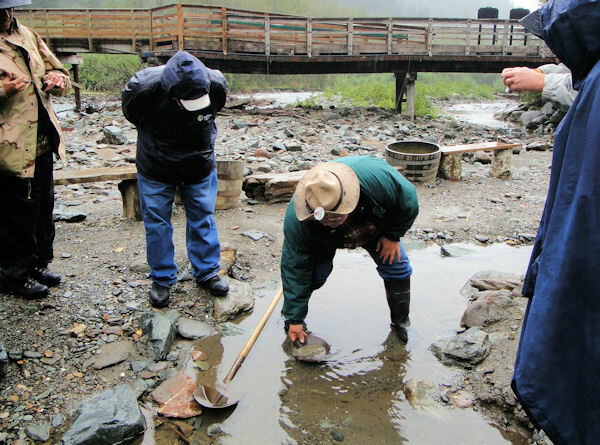 This gold panning is the moment when my dream for 40 years has come true, and I was obsessed with gold since then. 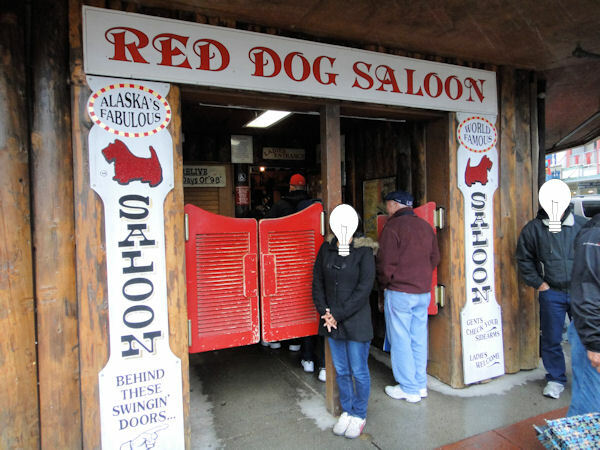 After that tour, I visited the old tavern named "Red Dog Saloon" in the town of Juneau. Pleasure of gold digger is common in the world. There were simple tables, chairs and a stage. 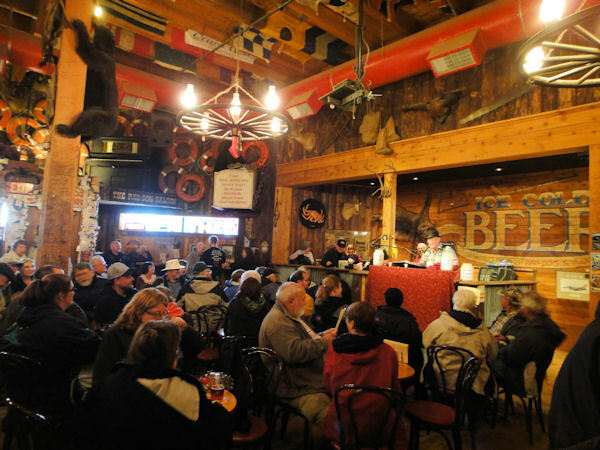 Although it is a small bar, it is popular among tourists because there are few old things in the United States. I was interested in strange places that wood chips are spreading on the floor as winter heating and slip prevention.